We are sorry but we aren't adding any new memberships in Woodbridge while the training rooms undergo construction. Feel free to consider classes at our Springfield location. Do you want your dog to be a great family member and the envy of your neighbors? 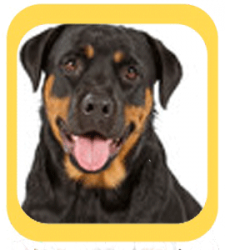 All About Dogs’ levels program is a flexible, fun way to accomplish your goal. Your membership starts with orientation, a people-only session where you’ll learn how to motivate your dog to pay attention to you (instead of all the other dogs in the class!). Once you've got those basic skills, you’re ready to make things more challenging with the introduction of movement and distractions in level 2. Step by step, you’re building a strong relationship with your dog so that they choose to focus on you and the fun things you do together. Many dogs are great at home and in class, but not so good out in the neighborhood in the face of real-life distractions; you’ll learn how to help your dog behave well wherever you go in level 3. By level 4, your dog will be the envy of all your friends, and you’ll be using interactive games, off-leash skills, and other challenges to polish your dog's skills so they last a lifetime. The levels program allows you and your dog to progress at your own pace. Each level has a set of skills that you and your dog will learn before moving up to the next level. By focusing on mastery and consistency, you’ll give your dog strong skills that you can rely on for a lifetime—not just when you’re in class. The trainers will be actively coaching and guiding you along the way; they’ll let you know when you and your dog are ready to move to the next level. The flexible levels schedule is excellent for busy families in Northern Virginia. You are eligible—and encouraged!—to attend any class at or below your dog’s level. By making a commitment to training, you’re showing your dog love and devotion while teaching them how to be a better member of the family. This class is for dogs of all ages, even puppies! While we love working with all dogs, at this time, this class is limited to dogs who aren't reactive to other dogs or people. If you have questions about your dog's eligibility, please email us (info@allaboutdogsinc.com) prior to registering.